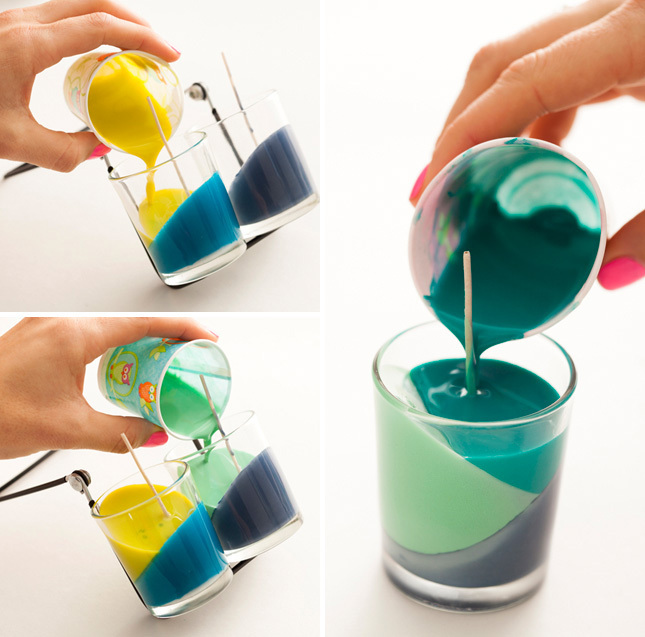 Crayons can be used for a lot more than coloring, as we’ve seen with our crayon candle post. This project makes some really cool art, and every time you do it you will get a different result! 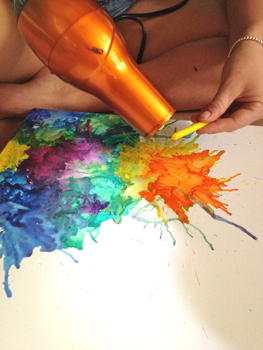 All you need are some crayons, canvas, and a hairdryer. Follow the instructions here. Enjoy! 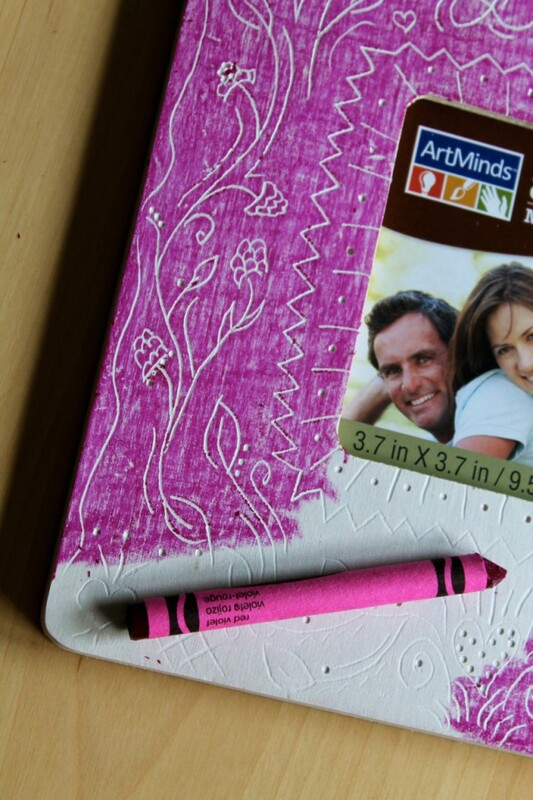 If you are looking for a nice and easy gift idea, look no further than these instructions on how to make gouged frames with a knitting needle (or other sharp blunt object) and crayons. The wooden frames needed for this project are very inexpensive and can be found at any craft store in the unfinished wood section. If you do not have a knitting needle, you could use any other similar object- perhaps an unfolded paperclip! Have fun!